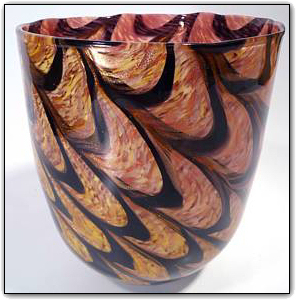 This vessel can function as a tall bowl or a wide vase and is simply stunning. The exterior features the most vibrant vivid shades of pinks, black, gold and lots of real gold adventurine sparkles. The interior features even more rich and vibrant pinks.